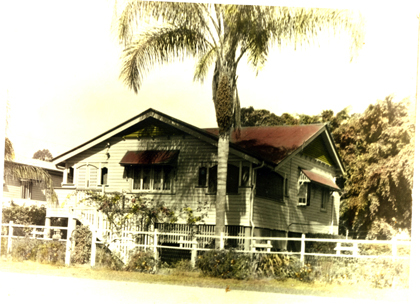 Houses | Toowong and District Historical Society Inc.
Toowong and District Historical Society Inc.
‘Arlington’ was built in 1905 for American Joseph Stillman Badger. Badger named the house ‘Arlington’ in honour of the United States National Cemetery. He became known as ‘Boss Badger’. Badger, a qualified electrical engineer, came to Brisbane in 1896 at the age of forty-five on behalf of the General Electric Company as its chief engineer to oversee the electrification of Brisbane’s out-dated horse-drawn tram network for the Brisbane Tramways Company (BTC). After the sudden resignation of BTC project manager, Mr Walklate, due to ill health in 1897, the BTC directors approached Badger to become not only BTCs Chief Engineer but also as to assume the duties of General Manager as well. Badger consequently resigned from GE. A proud American , Badger named the house Arlington in honour of the United States National Cemetery. Verification that Badger had used tram tracks as bearers for his house did not dispel speculation, but instead added to it. As a result, particularly more recently, locals wondered whether he was using his position at the BTC to cream off monies from the Tramway Company for his advantage. Badger acquired a reputation which could be described in common parlance as being slightly ‘smelly’ and eyebrows were slightly raised at the notion of Badger’s integrity. The speculation resulted in an article being written a couple of years ago in the local newspaper Westside News which described Badger as being ’notorious’, which was the first time such speculation actually was recorded in print as being a fact (and without any supporting primary documents or evidence). Formerly, it was suggested in verbal asides only. However, reminiscences collected by TDHS in 2003-05 from several elderly former residents, aged between their late 90s to over the age of 100, do not include a suggestion that Badger had a tainted reputation. These included the childhood memories of99 year-old Len Hall in 2003-4 whose parents operated the local shop in Woodstock Road across the road from Badger. So the speculation seemingly appears to be more recent in origin, gaining more credence since the decade 2000-10 when the earlier generation of residents had by this time died. To further investigate these innuendoes, TDHS examined the title deeds for the property. One person keen to know the truth was Percy Hanlon who did the legwork. The information was passed onto Badger biographer David Burke (then researching for his book titled One American Too many Boss Badger and the Brisbane Trams). David kindly provided the information that the names on the title deeds were board members of the BTC. This implies that ‘Arlington’ was financed by the Brisbane Tramways Company, possibly as part of an executive salary package, but Badger appears to have had a free hand in the house’s design as the architecture has an American flavour. It would seem that more than half a century later speculation fueled by ignorance has sullied Badger’s reputation. But at the time the house was built, the fact that the BTC owned the house was well-known, and hence no eyebrows were raised at the mention of Badger’s name at that time. Otherwise, why would the upper echelons of Society so admire Badger, socialize with him, queue up to pay patronage to him and do business with him? Badger’s business acumen was admired far afield, not only in Brisbane, but also in Sydney, Melbourne, and Adelaide and also as far afield as in London and New York. Prior to living at Arlington, by 1900 Badger and his family (who had joined him from America) lived at ‘Belle Vue’, a large house and property on the hill in Miskin Street, just short distance from where the construction of the tramline along Milton Road to terminate at the Brisbane General Cemetery was in progress. This tramline opened on 22 July 1904. Then Badger moved his family to ‘Arlington’. 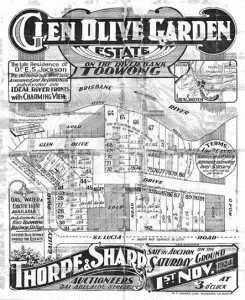 This was when work commenced upon the extension of the tramline from the gates of Brisbane General Cemetery, down Dean Street, and into Woodstock Road to terminate at the (Toowong) Tram Terminus situated just near his front gate. The Toowong Council had campaigned to extend the tramway down to terminate at Toowong, and there were plans to build more termini along Sherwood Road. But to protect its suburban railway traffic, the Railways Department made sure the track was kept apart from Toowong station and so the extended tramline and termini did not eventuate. Badger used a gate built into his side fence to walk down concrete stairs built into the steep slope of the ridge to access the tram stop near to his residence where his private tram collected him to go into work. Claims published recently (in 2018) by The Courier-Mail that the Woodstock Road terminus is built upon Badger’s property are incorrect, as the terminus has been built behind the footpath at the base of the hill upon the publicly –owned Miskin Street road reserve. Badger was partial to moving. 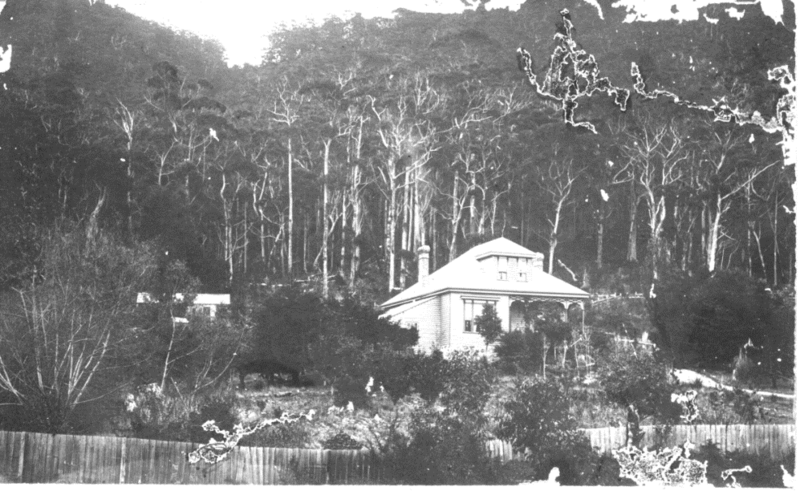 Between 1913-15, he moved again to Hargreaves Road, West End, and later elsewhere. He liked to move to an area where the tramway was being constructed so he was immediately upon the spot to supervise. Badger was very much hands on! 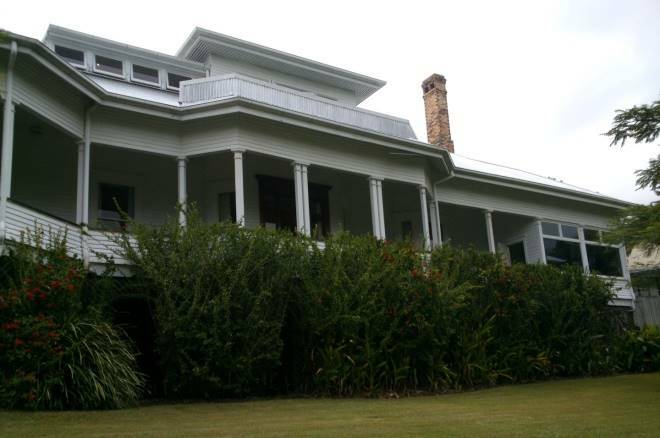 Due to both his role in the electrification and extension of the Brisbane tramway network and his hardline opposition to unionism and the role he played in the lead up to the General Strike of January 1912, the residence has ever since been associated with his name. However, people refer to it as ‘Endrim’, the name the property was later called, and not as ‘Arlington’. ‘Endrim’ has attracted more controversy lately with plans to build a childcare centre being lodged with the Brisbane City Council (BCC). 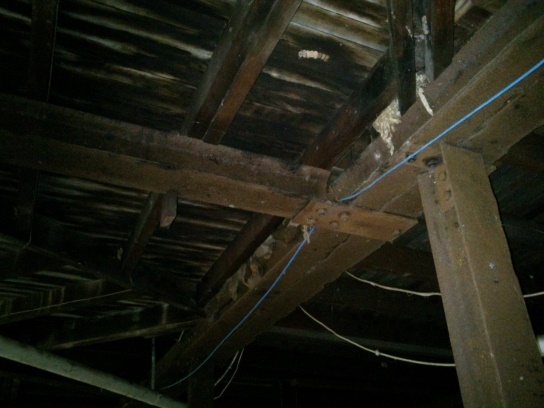 Concerns have been expressed over a wide range of issues, with one being an expected increase in traffic and the another being the impact upon the heritage of the house. Leigh Chamberlain and Lindy Salter, Toowong; A tram ride from the past, Toowong and District Historical Society Inc., 2018, p.124. David Burke, One American too many. Boss Badger and the Brisbane Trams, Queensland Museum, 2012. Mrs Dorothy Beavis and her husband Kevin Beavis were interviewed by Leigh Chamberlain in November, 2000. Adopted as a child, Dorothy recalls the circumstances which led to her adoption. At that time it was legal for adoption to be privately arranged. Dorothy Beavis (née Harper) was born in 1931 and is the only child of Mr Ben and Mrs Alice Harper. Mr Harper, who was a returned serviceman from both the Boer War and WWI, worked for the Queensland Railways at Ipswich as a foreman coppersmith. I have lived in the house for 69 years, and my dear beloved, [indicating Kevin], for 52 years. I was brought here as a baby, adopted by my parents who brought me here. I was only 2½ lbs when born and was ten weeks ‘premmie’ when my mother brought me down from Townsville on the train. My real mum died when I was only five days old. Her name was Violet Ethel Drewett (née Harper). She was unconscious when she had me and didn’t even know that I had arrived. This is what I was told. My parents had me wrapped up in cotton wool and had newspapers around the bottom of a washing basket — you know, the old cane washing baskets. That’s how I came down from Townsville. And I believe — it was really funny — there was one old busybody on the train, and she came up to Mum, and she said, ‘I had heard that Ben Harper had had a child but I didn’t believe it.’ No way I could have been Ben Harper’s child — he was the father who adopted me — but there was no way that I could have been his blood because we are altogether different. He was tall and as broad as anything, while I was a skinny little runt. My real father was a tall man too. His name was Edwin George Drewitt. As a matter of fact, I’ve got a brother who was over six feet tall. 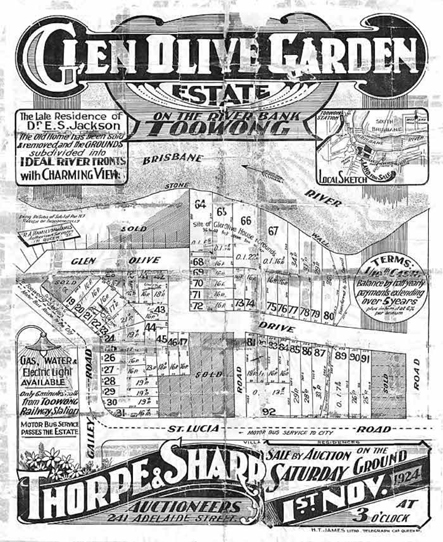 In 1924–25, Mr and Mrs Ben Harper had purchased a double allotment in a new development called ‘The Glen Olive Garden Estate’. They had a house built which they then rented out. After the Harpers returned from Townsville with their new ‘bundle of joy’, they were not able to live in their Sandford Street property because it was still tenanted. Therefore, they rented a house in Aston Street until their tenants were able to vacate. The Aston Street house was the one later purchased by Sir Arthur Fadden. So Dorothy was about six months old when the family finally moved into their Sandford Street house. Dorothy wasn’t initially told that she was adopted, or that she had brothers and sisters. This important piece of information was disclosed to her much later, and contact with her real father was restored. There was a history of adoption in the family as Dorothy’s biological mother was herself adopted. 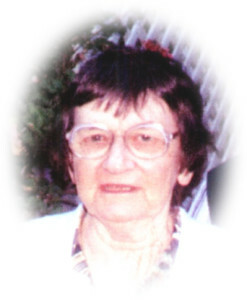 Violet was adopted by Ben Harper’s parents, Mr and Mrs Ben and Elizabeth Harper, a stone mason who lived in Townsville. According to the story handed down through the family, Violet’s mother was a servant girl who worked for the Harper family and when she became pregnant, the father abandoned her and her unborn child. Desperate for assistance, she turned to her employer, Mrs Harper, as she didn’t know what else to do. Although they already had two children of their own, Benjamin John and Louis Arthur Milton, they offered Violet’s mother a lifeline by deciding to adopt the baby. (The ‘Milton’ in Louis’ name was a family surname in the Harper family). When Violet died, her brother, Benjamin John, and his wife, Alice, decided to adopt Dorothy. By adopting Dorothy when her mother died, the adoption was kept within the family. Alice Harper had a history of stillborn births, so the new-born baby gave Ben and Alice Harper a chance to enjoy parenthood that would have been denied them otherwise and she was their ‘only child’. …other children came with the family too. There were four kids, and Mum and Dad. Now, these other children that I’m talking about, who lived with me for years (I was thirteen at the time), were my brothers and sisters. I didn’t realise this at the time, as we were all brought up as cousins. This was only because my mother died while giving birth to me. Thank you to Dorothy Beavis for the above reminiscences. You can read more of Dorothy’s reminiscences in the Toowong and District Historical Society’s publication, Toowong: A Tram Ride from the Past, 2008, p.41. To order see details on the Publications page.